This is the cable that runs from the rear axle up to the center cable coming out of your Mustang. Over the years, parking brake cables can become stretched or broken from use. 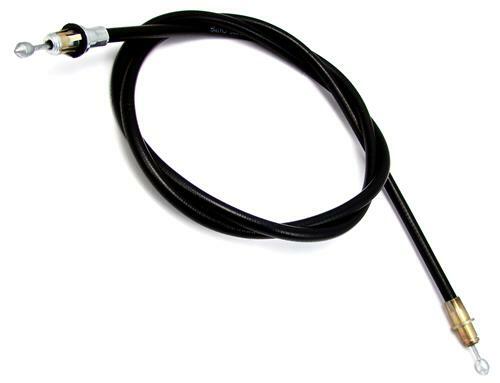 This replacement cable runs from the rear axle up into your Mustang to the center cable coming out of the car. 2 are required per vehicle and are side specific.